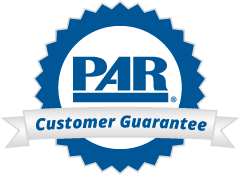 Now celebrating our 40th anniversary, PAR is a leading publisher of psychological assessment materials designed to help our Customers better serve their clients. Our U.S.-based, family-owned-and-operated company is a unique group of talented people who genuinely enjoy exceeding our Customer’s expectations at every encounter. We understand the important work that our Customers do—in hospitals and other health care settings, in private practice, at universities and schools, in forensic settings, in research, and in businesses across the country and around the world. Wherever they are, our Customers truly are creating connections and changing lives. We want to be a partner and trusted resource for the very best assessment tools to support that work. Since our humble beginnings 40 years ago, PAR has never strayed from the basic belief of our founders, Bob and Cathy Smith, that people come first—whether those people are our Customers, their clients, or our employees. creating connections and changing lives.